I'm going to be buying the paints for my Mini Comic Roboto custom soon but after going back to the comics it seems there are a couple ways you could go with this figure. I'd like to know what members' preferences are and to get some suggestions. You can see in the comics that Roboto's translucent chest is actually solid, you can't see through it at all, and it appears as though Roboto's heart is displayed on the outside. You don't see any of his gears. In other pictures his heart is not displayed but only because his heart is not inside him. 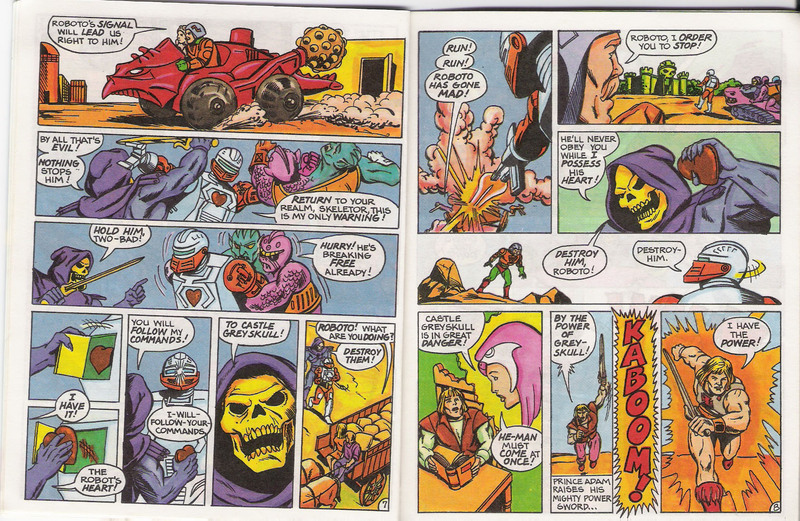 In the third picture you see Skeletor very easily 'disarms' Roboto by opening a door in his chest to take his robot heart (apparently the inside of Roboto is green). So looking at these images, how would you envision Mattel giving us a mini comic accurate Roboto? With his gears removed to place focus on his heart? Or with his chest painted gray like his helmet and his heart displayed on the outside? If the gears stay in, should they be repainted? Also, his groin seems to be a different shade of orange than the rest of him. I'm trying to decide what's appropriate, and I'd like to match at least part of his orange-ness to the Palace Guards. What about his weapons? Should they keep their blue trim or be painted entirely gray? Or how about orange trim to replace the blue? There are two balls of metallic blue on each of his boots. Should those be painted over in gray or left alone, or painted orange? I don't think Poe's Roboto was too accurate, because he made his visor green for some reason that escapes me. He also kept the boots with the blue bits, which don't match any other color on his body. Here's what I came up with in Photoshop. 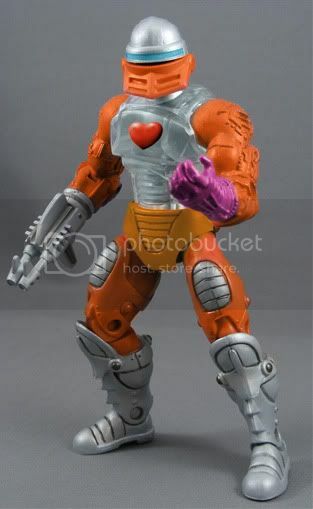 I like the idea of a removable heart, or at least one that is more prominently displayed on Roboto. I grayscaled his insides, giving his chest a more solid look. I also added some black highlights around the groin and a bit on the arms to try and make him look more like in the comic. This is one of the repaints that I want most for a TRU 2 pack. I always enjoyed that mini comic and still have my original from back in the day. I think I almost enjoy this color scheme more than the original colors. Noooooo! Not for a TRU2pack plssss, that means I won't be able to get Roboto! I love the orange color on Roboto! I prefer the clear torso. I don't think you need to do anything with it when you do your custom. Searching for this WORLD CLASS RESEARCH FACILITY I heard about. 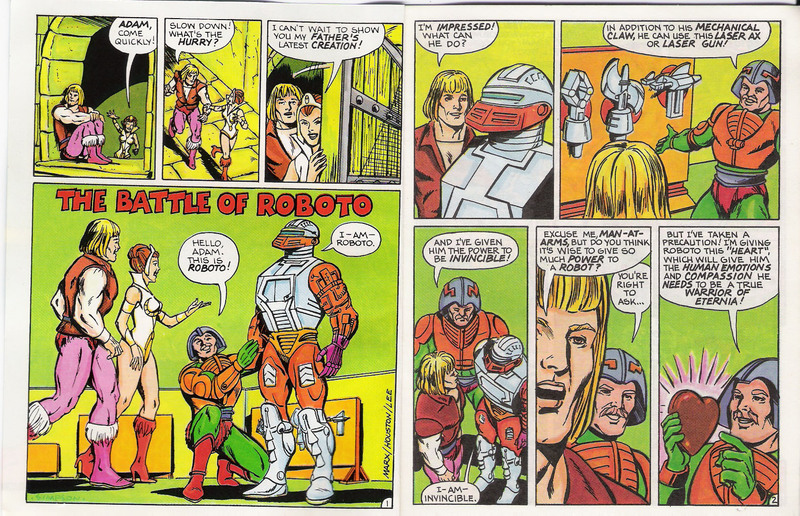 I think it would be awesome to get a orange mini-comic Roboto. But if Mattel does not fix the reverse shoulders I will pass on him like I did for the real color one. Until the TRU 2-Packs come to the UK, I'm against repaints this cool coming in them! I'd actually love to see a 200X Roboto as a variant. Any way I'm digressing, that mock up looks cool! i o like this paint scheme. I actually like all the gears gray like that. AdultCollector, did you (or anyone for that matter) ever do this custom? I was thinking of doing it myself and just wondering how it turned out for others. Oh yeah I would love to try this too. I love that orange color. All times are GMT -4. The time now is 03:05pm.